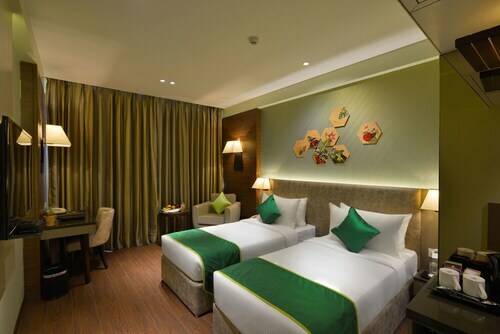 This family-friendly Vadodara hotel is located near the airport, within 2 mi (3 km) of ISKCON Baroda, Sri Sri Radha Shyamasundar Mandir Temple, Kirti Mandir, and Sayaji Baug. Laxmi Vilas Palace is 2.8 mi (4.5 km) away. Located in Sayajiganj, this luxury hotel is 0.2 mi (0.3 km) from Kirti Mandir and 1.5 mi (2.4 km) from Laxmi Vilas Palace. Baroda Museum And Picture Gallery and Sayaji Baug are also within 10 minutes. 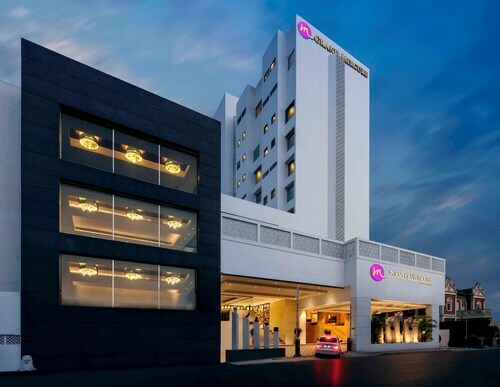 This family-friendly Vadodara hotel is located near the airport, within 2 mi (3 km) of Kirti Mandir, ISKCON Baroda, Sri Sri Radha Shyamasundar Mandir Temple, and Sayaji Baug. Laxmi Vilas Palace is 2.9 mi (4.6 km) away. Was there for a few nights on business. Great location, convenient to many businesses and the airport. Staff was really great and the room was nice. Facilities were tremendous. 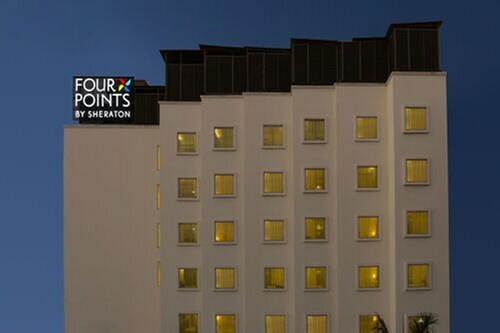 I highly recommend this hotel and will stay there again when I in Baroda. Located in Sayajiganj, this hotel is 0.2 mi (0.3 km) from Kirti Mandir and 1.5 mi (2.4 km) from Laxmi Vilas Palace. Sayaji Baug and Baroda Museum And Picture Gallery are also within 10 minutes. Located in Alkapuri, this hotel is within 3 mi (5 km) of Sayaji Baug, Maharaja Fateh Singh Museum, and Laxmi Vilas Palace. Shruti Mandir Ashram and EME Temple are also within 6 mi (10 km). Located in the heart of Vadodara, this hotel is 1.3 mi (2.1 km) from Kirti Mandir and 2.6 mi (4.2 km) from Laxmi Vilas Palace. Baroda Museum And Picture Gallery and Sayaji Baug are also within 2 mi (3 km). 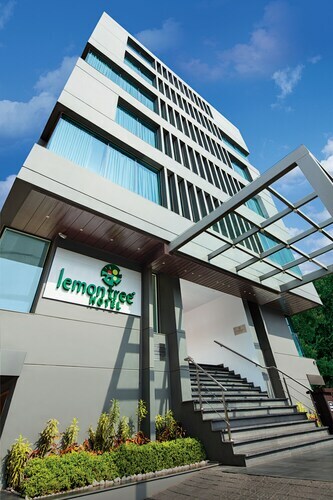 Situated in Vadodara, this hotel is 0.5 mi (0.8 km) from Sayaji Baug and 2.2 mi (3.5 km) from Laxmi Vilas Palace. Baroda Museum And Picture Gallery and Kirti Mandir are also within 1 mi (2 km). Located in Sayajiganj, this hotel is 0.4 mi (0.7 km) from Kirti Mandir and 1.7 mi (2.7 km) from Laxmi Vilas Palace. Baroda Museum And Picture Gallery and Sayaji Baug are also within 15 minutes. 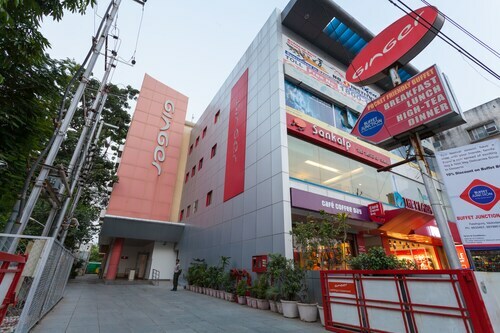 Located in the heart of Vadodara, this hotel is 1.4 mi (2.2 km) from Sayaji Baug and 3.1 mi (5 km) from Laxmi Vilas Palace. Baroda Museum And Picture Gallery and Kirti Mandir are also within 2 mi (3 km). 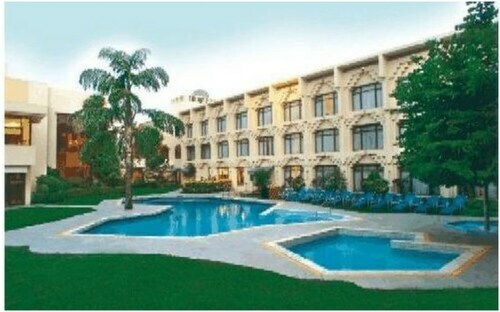 Situated in Vadodara, this hotel is 1.1 mi (1.7 km) from Kirti Mandir and 2.1 mi (3.4 km) from Laxmi Vilas Palace. Baroda Museum And Picture Gallery and Sayaji Baug are also within 2 mi (3 km). Grab the camera, dust off your walking shoes and spend the day in the outdoors at Sayaji Baug, a lovely natural attraction to include in your to-do list. To experience it, take a trip of to Vadodara, 500 miles (805 kilometers) from the capital of the nation, New Delhi. 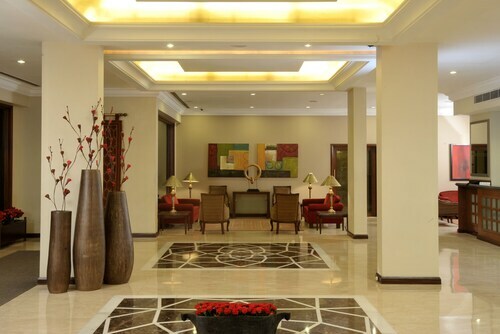 Accommodation is an essential part of any memorable getaway. With 20 hotels within an easy drive of Sayaji Baug, it shouldn't take long to locate the perfect place. The Gateway Hotel Akota is just 2 miles (3 kilometers) away. If that doesn't suit you, the Hotel Express Residency and the Hampton by Hilton Vadodara-Alkapuri are situated 1 mile (2 kilometers) and 1 mile (2 kilometers) away, respectively. If it is necessary to find a budget establishment, then the Hotel Tansha Comfort Regency, roughly 2 miles (3 kilometers) away, is the perfect place. 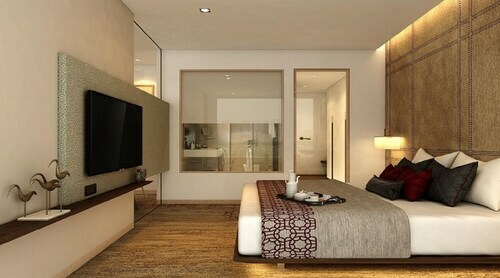 You won’t ever forget spending a night or two at the GenX Vadodara 1589. It's only 0.8 miles (1.3 kilometers) away, making it the one first-rate hotel that's nearby. Conveniently located within walking distance, Salimbhai Chaiwala is considered one of the best places to take some time out. A well-known dining option which is also close by is J P Sandwich (Fine Arts) Kamati bhag. This place is a good choice if you'd like a more substantial meal and would like something a bit fancier. You'll laugh and smile when you relate a few tales while enjoying a glass of wine or beer at Sayaji Hotel, Vadodara, only a brief stroll away. Delight in the great array of art at Baroda Museum And Picture Gallery. This prominent art museum is a wonderful venue to spend an afternoon. Arrange for a visit to Kirti Mandir, a place of peace and serenity. Witness the lively college lifestyle for a day by organizing a trip to Maharaja Sayajirao University on one of its open days. A significant local attraction, Nyaya Mandir is a reminder of past events inscribed in the souls of local residents. Do you want to escape the noise and confusion of the city? Check out Jubilee Baug, a green urban oasis. If you are on the hunt for an easy way to reach Sayaji Baug, why not go by train? If you hop off at the closest station, Swami Vivekananda Station, it's only 0.10 miles (0.16 kilometers) away. Visitors may also want to note that another possible station, Vadodara, is also an option, at just 0.5 miles (0.8 kilometers) away. How Much is a Hotel Room in Sayaji Baug? Hotels in Sayaji Baug start at $33 per night. Prices and availability subject to change. Additional terms may apply.